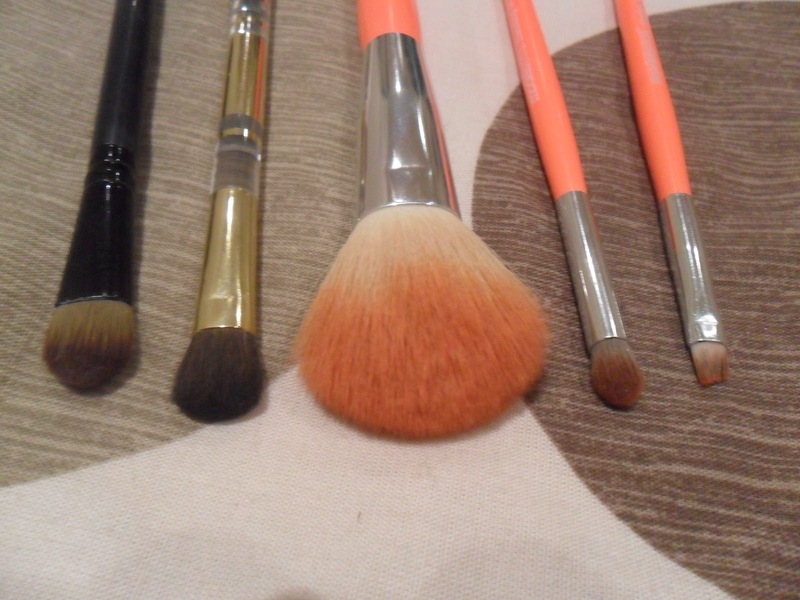 From left to right: A small eyshadow brush from my first ever purchase (and yes it has lasted surprisingly) I can't bring myself to throw this away! Then I have an Estee Lauder eyeshadow brush this brush is a lot fluffier and holds more shadow than the previous brush. My favourite brush is the middle brush, it's a Models Own powder brush, I love this range they are such good quality at such a small price! 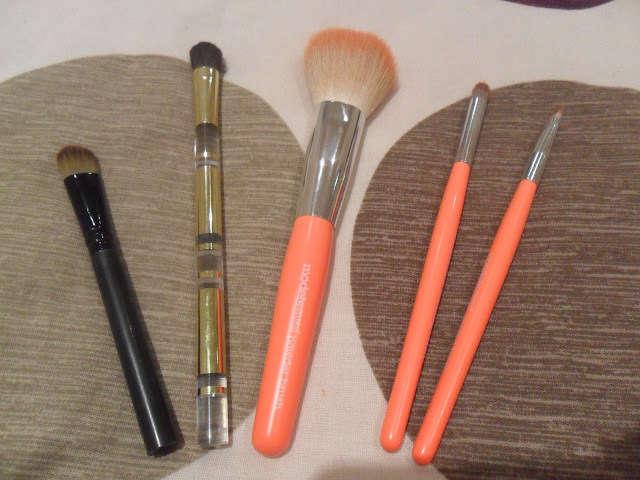 I also have the blending brush and the eyebrow/liner brush. 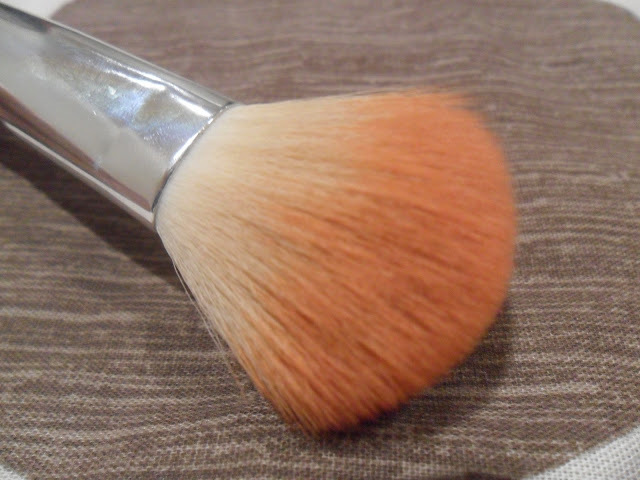 The powder brush is the softest brush I have ever used and I love the bright orange handles, so easy to find in a stuffed makeup bag! I am hoping to find a good quality foundation brush currently I use my fingers but end up wasting half the product all over my hands, I have tested a friends MAC foundation brush and I found it left my foundation quite streaky, not a good look! 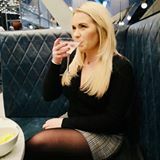 So any recommendations will be much appreciated. What brushes do you use? Have you got a favourite or am I just weird having a favourite brush? I have a benefit foundation brush which I found is a lot easier to use and doesn't leave my skin streaky. I have a big kabuki brush from models own I love, I also have a little flat blender brush that I've had for years and will not be without! I also have a great flat double liner brush from smash box I adore! I seriously OD'd on their products at their stand at clotheshow live in december !! !